Ever since its emergence, blockchain technology has come a long way with a promising future in many industries. The technology has been growing and evolving to provide numerous solutions to businesses putting them a notch higher from where they are currently. Modern-thinking businesses who are more technology embracing are finding new ways to incorporate blockchain to revolutionize their traditional processes. 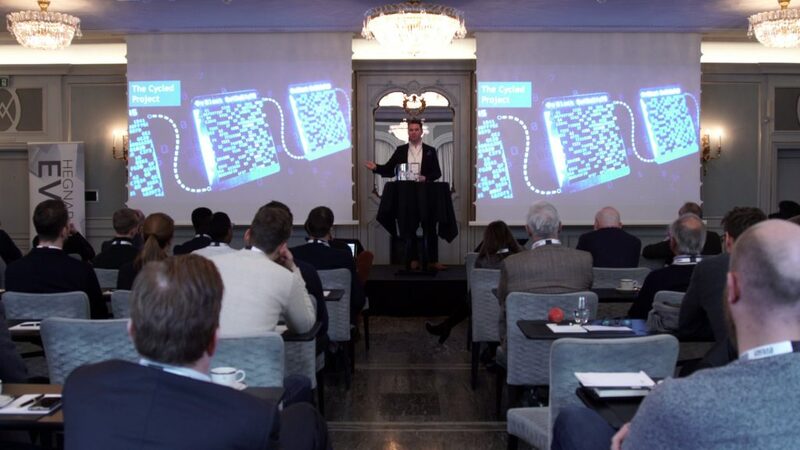 Perhaps these lines can perfectly describe what has happened in the ‘Blockchain Business Day 2019 Conference.’ The event was held on 5th February in Oslo, Norway and organized by Hegnar Media. The event was organized to promote ‘Practical use cases of Blockchain’ as the emerging technology is no more just a buzzword rather various companies have incorporated the technology and are presenting to the world the real use cases. 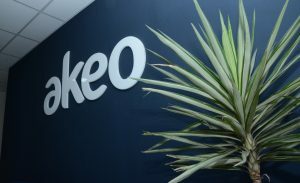 Akeo was one of the proud sponsors in the event. The conference began with Lasse Meholm’s (DNB Bank) speech on changing business models in this ever-evolving market. The speech revolved around the future of money and how banks can re-shape their business models. DNB Banks is one of the biggest corporate banks in Norway. 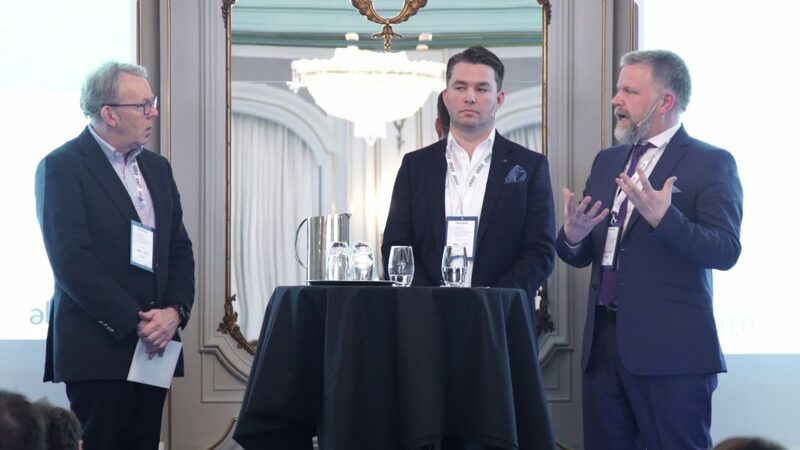 Soon after, our clients, Thor Sverre Minnesjord (Cycled Technologies) and Stian Andreassen (Ledgefarm) talked about how they found the solution with blockchain as an underlying technology. 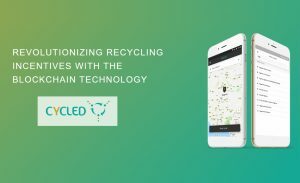 Cycled – Cycled is a waste management application that aims to transform the trash collection process and incentivize people for taking part. The app sends incentive tokens in return of recyclable items. All the transactions are held on the blockchain powered Cycled mobile app. Ledgefarm – Ledgefarm is a blockchain-as-a-service platform that helps businesses to build financial services on blockchain. The main idea behind the platform is to fast-forward blockchain adoption for businesses. 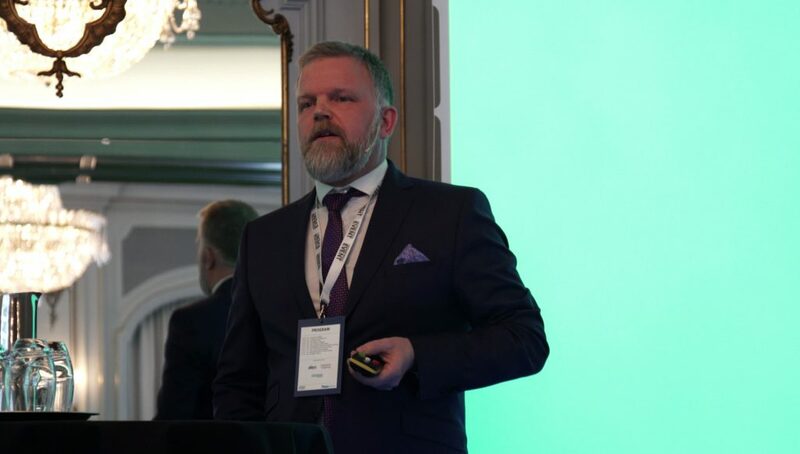 Our CEO, Espen Moen Kvelland shared the stage with Thor to discuss more about Cycled as a platform. He explained how blockchain proved to be a fitting technology for Cycled and the process of creating a transparent and immutable solution for recycling waste. Also, how people could earn Cycled tokens in exchange for waste. DNV-GL – The company is into global quality assurance and risk management. They recently created MyStory, a blockchain-based solution that shows the supply chain of wine. NBX – This independent company launched the Norwegian Block Exchange (NBX) with the heritage of Norwegian Air Shuttle to reap possible opportunities of blockchain within aviation. The speeches and presentations were followed by a quick round where attendees got to ask questions to the speakers. The questions revolved around the environmental aspects of using blockchain and practical uses of tokenization. Event participants were eager to know the practicality of using blockchain in businesses. We hope that this two-way interaction allowed everyone to get new ideas and broaden their minds towards technology. 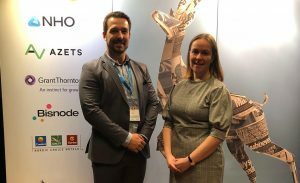 Blockchain Business Day 2019 was a great opportunity for Akeo and other guest companies to share their experience in regards to blockchain adoption. Such events could encourage businesses to adopt blockchain and leverage the power of technology.